The story goes on and on through the reverb of the times: a trend dominates the output of the movies, and then along comes someone to louse the whole thing up. John Carpenter’s “The Thing,” about an alien life form wreaking havoc on a group of men trapped in a frigid landscape, is one of those beloved relics of the ‘80s that was considered the divisive game-changer for a genre in which premises like “Alien” had saturated the market with a relentless supply of bloodthirsty monsters jumping out from the shadows. Like a narrative sledgehammer, some would say it forever shattered the straightforward course of its cinematic family, and opened the sphere of possibilities up to much more horrific contemplations. Viewing the movie thirty years removed from that era, the ideas it presents are at least instantly distinctive; this is not a thriller in which ordinary beasts seek to destroy a gathering of unsuspecting victims, but one in which they take on the traits of Earthly organisms, absorb their DNA and walk among them as part of a convincing ruse to adapt to – and overtake – a new foreign environment. How unfortunate that the plot doesn’t know how to ride the wave as effectively as it should. 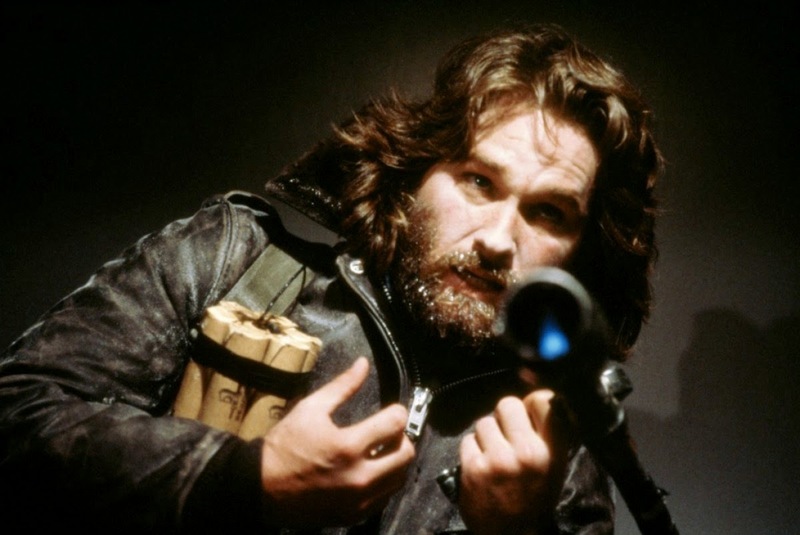 The film stars Kurt Russell as R.J. MacReady, a pilot on base of an artic research crew who, along with gathering of other morose men, is about to be involved in one hell of a tricky predicament. The prologue suggests so, of course, from an early scene; as a large dog gallops across the icy plains, a nearby helicopter full of eager Norweigans pursues it with murderous intentions, hoping to shoot the animal dead in its tracks. That grim pursuit takes them – and the dog – right into the base of the American researchers, who respond with perplexing resistance. If it’s just a simple dog, why are they so eager to exact certain violence on him? 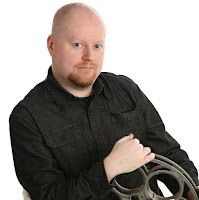 What do their frantic Norweigan sentences suggest if no one can understand them? Their forceful arrival is ultimately their downfall, and after the helicopter crashes – leaving behind one survivor – and a man on site responds by shooting the gunman in the head before injury befalls the helpless dog. Cut to the next sequence, and three of the witnesses – Mac, Copper (Richard Dysart) and Norris (Charles Hallahan) slip out of the base and venture off to discover the secret of the recent insanity of their deceased visitors. Did something happen at their facility nearby that inspired such hysteria? Because male curiosity in the movies is often headless, we watch on during their pursuit with almost teeth-clenching anxiety, anticipating some kind of disastrous consequences. They find destroyed rooms, evidence of a fire, bodies frozen in painful death gazes, and a chunk of ice that seems like it might have been housing some kind of foreign object. Where is it now? Was it, at one point, some living specimen? Though no answers are obvious, audiences know better; when the three of them discover the remains of a drastically mutated human body on the outside of the facility and opt to take it back with them for study, we know, unequivocally, that such an impulse is an invitation to certain disaster. In those early days of serious creature features, we could forgive the stupidity. Throughout the course of the movie, a lot of terrible things happen to this ensemble of characters – pain, suffering, betrayals, and that just the stuff of their normal demeanors. That the presence of a terrifying monster exists within their sphere without their immediate knowledge means that the surprise is all the more deadly. The screenplay by Bill Lancaster provides subtle hints to this suggestion, but does not directly reveal the intentions until almost too late; when the creature – simply referred to as the “thing” by its victims – does arrive on screen, the preceding setup is almost so slight that it still evokes an alarming response, even now. What is it? No one can exactly explain, but then again that isn’t even the point. What it does do, though, is unthinkable: consume people (or animals) and then essentially take on their characteristics, allowing them to move undetected amongst others. When this knowledge is shared with the scientists, ensuing hysteria overwhelms their need for survival, and inevitably the movie becomes a cat-and-mouse game in which it’s not just about how to destroy the beast, but where to find it and who to trust among the ensemble of mentally unravelling survivors. And yet somehow the dramatic fascination we have in so much of this narrative never achieves warp speed. That may in part be due to the almost uneven nature of Carpenter’s early style (he could never settle on claustrophobic hallways or icy exteriors as a decisive mood-stabilizer), but his actors don’t exactly sell the material as effectively, either. When Ridley Scott made “Alien,” for instance, he filled his tight spaces with faces that could effectively meander back and forth from serious observation and lighthearted anecdotes; in the grind of the routine, a little variety passes the time. But by the time we join in on “The Thing,” the existence of these researchers seems almost comatose. If not for the abrupt arrival of a dog and his unsettled chasers, one suspects that all of them would continue sleepwalking through their own existence. Only Russell and Wilford Brimley really have any fun with the material, and there is a scene between the two early on in which we not only get a sense of how their behavior patterns alternate in the face of uncertain tragedies, but also a reminder that both, even in the possession of this drab context, will always find a way to soldier through the material with vigorous conviction. The visuals are, at least, far ahead of their time. The production design by John L. Lloyd does a respectable job of establishing a tangible, almost eroded inner reality for Carpenter’s characters to rush through, but it is the remarkable special effects and creature designs that truly separate the film from its long list of counterparts. Consider the famous first image of a mutated human and his two split faces joined by an elastic skin facade, or a later scene in which the severed head of one victim sprouts legs and walks around like a bony arachnid. In 1982, there was scarcely a thought in creature features to push for a design so effectively unsettling and vivid, unless you were H.R. Giger – by utilizing such a twisted look in an array of menacing images, these technical artists cemented the notion that not a single film of that time would look anything like it; no one else would have that collective audacity. And since the cinematography is not dodgy in capturing these moments like so many other films tend to be, that also makes it one of the more consistently magnetizing; though are eyes are horrified and our hearts often unsettled, we watch on as if paralyzed by an unfolding nightmare from which there is no turning away. Carpenter was (and is) a competent filmmaker whose intuitive nature is fiercely present at the root of all his films, and in an insightful book penned by Gilles Boulenger, he once made the following observation which always informs his craft: “I am not an anarchist, even though I make movies that seem to say that.” What is persistent in “Halloween” and “Christine” and even “The Thing” – all early films – is that he finds the daily grind of human life to be the biggest catalyst for new horrific trends, and the slow reaction time of his characters are ultimately their downfall. “Halloween” remains the best of his films, and though there are decisive limitations I have with “The Thing,” there is no denying our ongoing fascination with it as a unique exercise into the formula of Hollywood creature features. That may not make it a perfect film by any stretch of the imagination, but it personifies the definition of “popcorn entertainment” – that is, the kind of film that relishes the thrill of its many ambitious moments without seeking total transcendence. Produced by Stuart Cohen, David Foster, Larry J. Franco, Wilbur Stark and Lawrence Turman; Directed by John Carpenter; Written by Bill Lancaster; based on the story by John W. Campbell Jr.